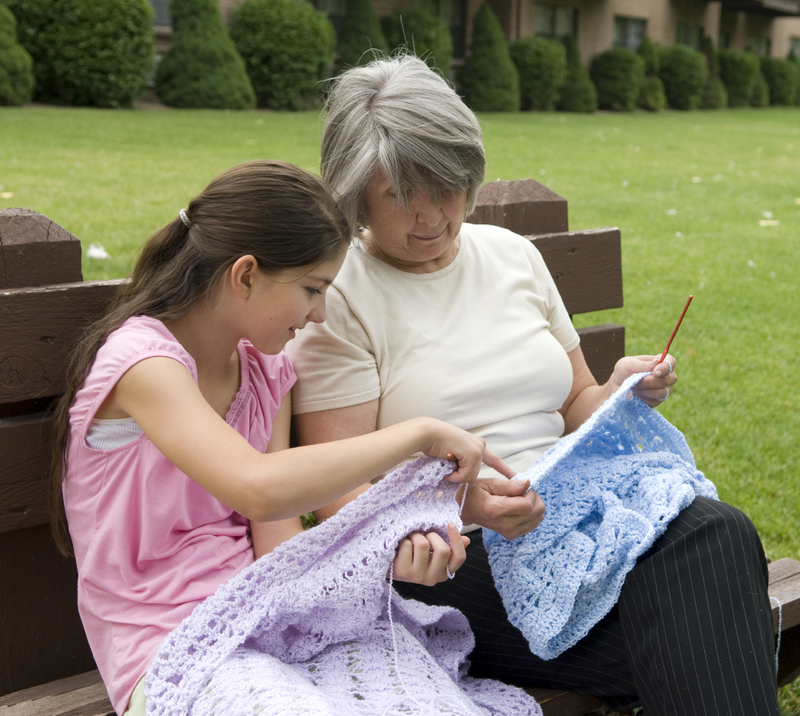 Summer break can be a great time to share your love of crochet with your children, grandchildren, and other kids in your life. If you’re a crochet lover, you know it’s a great hobby that allows you to make useful and beautiful finished objects. You may also be aware of the many other benefits crochet can provide over the course of a lifetime, including stress relief, protection from mental decline, improved motor skills, and more. If you learned to crochet as an adult, or if you don’t remember your own childhood crochet experiences, it can be difficult to know where to start, so here are six tips for teaching children to crochet over the summer break. As a seasoned crocheter, it can be easy to forget that each stitch really includes many smaller steps. When teaching crochet to a novice (whether child or adult), break down each action into multiple small steps. For example, a single crochet stitch includes inserting the hook into the appropriate stitch, yarning over, drawing up a loop, yarning over again, and drawing through both loops on the hook. Feel free to let your student repeat one step over and over – like inserting the hook – until they feel comfortable. While there are some crochet prodigies who pick up hooks and finish projects at very young ages, most young children lack the fine motor skill development to crochet comfortably with a hook. If your child is expressing an interest in the craft but has difficulty maneuvering the hook, start with finger crochet. You can also expose kids to yarn in different ways to keep them engaged until they develop the necessary dexterity. For example, many children enjoy winding yarn into balls, others like to play Cat’s cradle, and some enjoy wrapping yarn over popsicle sticks to make God’s Eyes. Another option is to let your child sit on your lap with your hands guiding theirs. Choose the most developmentally appropriate activities to keep children interested in the crochet rather than frustrated with it. Children generally have shorter attention spans than adults, so be attentive to your child’s level of interest during an activity. Allowing children the option of moving on to something else as they lose focus may keep them interested in the long run. Before you start a crochet lesson or yarn activity, think ahead to clean up so that when the child is ready to move on, you can help her or him store the project and supplies for later use. While it’s tempting to teach many stitches and techniques in one sitting to an enthusiastic child, it’s best to focus on one skill at a time. This will help the child remember what they learned at the next session and may ultimately lead to greater mastery. Think about projects that can be made with each small step. For example, long chains make great necklaces, friendship bracelets, and scarves for toys. They can also be braided together to make necklaces and scarves. Single crochet pieces can be joined and stuffed to transform into balls to play with or crochet critters. Freeform crochet allows you to work intuitively with yarn without a pattern by following your instincts. Freeform provides a great format for teaching children. Allow them to finish a piece when they think it is finished, or combine multiple stitches, working in the round and working in rows, different colors, and more into one piece. Once several pieces are completed, use felt or clothing as a background and fabric glue or sew pieces to the top as embellishment. This allows the child to explore at their own pace while still getting the sense of accomplishment from completing projects. If teaching crochet is making the hobby less relaxing for you, consider seeking out a group class for your child. Look for craft camps, “mommy and me” classes, or mixed-age classes through craft supply stores, libraries, and summer programs. Teens may have a keen interest in crocheting and generally have the motor skills and reading comprehension to move ahead on their own. Sometimes, however, they lack patience and expect perfection from themselves. When teaching teens, remember to reinforce that crochet, like all skills, improves with practice and may not be perfect the first time. With these six tips (and the bonus one for teens) you’ll find that you can pass on your love of crochet to the children in your life while they are away from school during summer break.